You guys should know that I love carrot cake. I love it so much that if I ever get married my wedding cake will be carrot cake with a thick cream cheese frosting. But I rarely feel like baking an entire cake, mainly because I might risk eating it all by myself. 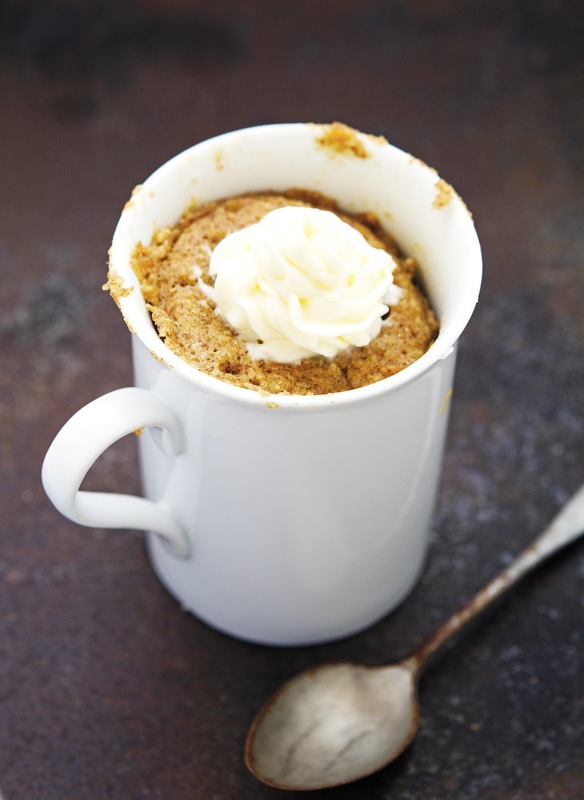 Enters the (Paleo) Carrot Cake In A Mug. A handful of ingredients, a microwave, and 5 minutes and you’ll end with a carrot cake that is super delicious and perfect for a night in, binge watching Game of Thrones. 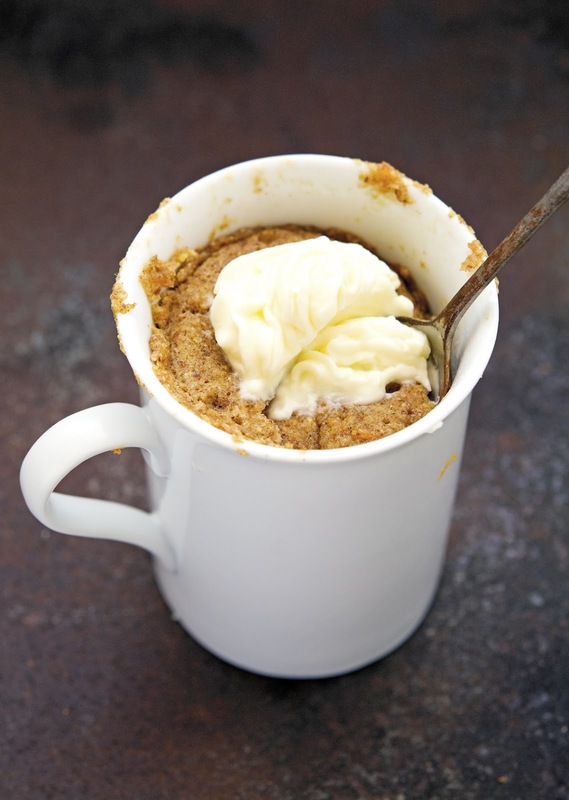 (Paleo) Carrot Cake In A Mug Print this recipe! Add maple syrup and egg and whisk with a fork. Add almond flour, coconut flour, carrot, walnuts, cinnamon, and baking powder. Mix until well combined. Microwave on high for 1½ to 2 minutes, depending on how powerful your microwave is. In the meantime make the frosting by combining in a small bowl the cream cheese, maple syrup, and vanilla extract. Once the mug cake has cooled down, layer it with frosting and enjoy! One serving yields 255 calories, 20 grams of fat, 17 grams of carbs, 6 grams of protein. There's definitely something magical about the mug cake food group, I completely mirror your sentiments. Circa 2015, I had a pretty torrid love affair with a banana bread mug cake and have been meaning to brand out to other varieties. I, too, am a mega carrot cake fan, so I'm ALL OVER this recipe. It shall be dessert tonight! Wait, so if I eat the whole mug its 2 servings? So 510 calories? I LOVE carrot cake! I'm always looking for healthier twists on my favourite dessert so I will definitely be trying this! Mike - I have been seeing quite a variety of mug cakes in the blogsphere, but I must say, your blog seems to have the most mug cakes in one place! 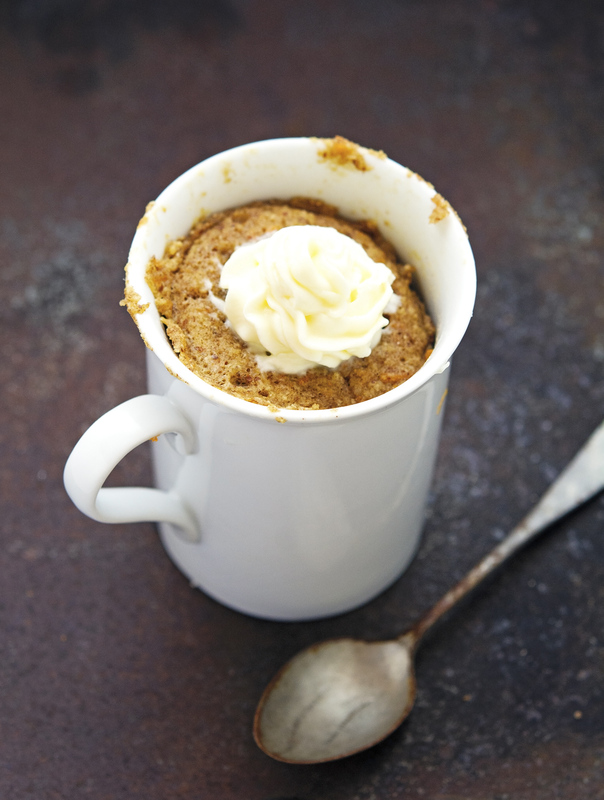 And quick and healthy carrot cake in a mug means cake can happen for breakfast! And now that's awesmazing! Big carrot cake fan myself. Without the frosting (I know, I know...) how would that change the final caloric stats? Love you cakes in a mug Mike, this might be the best one yet. Just made this! Didn't have the cream chz for the frosting yet even by itself...what a treat! Thanks for posting this recipe! That's fantastic Susan, I'm so happy you enjoyed my recipe!